AGOURA HILLS, California – May 2017 — Working for a band whose members are tech-fans that are willing to jump into new gear if they dig what it does is great—if the band likes it, it’s in. 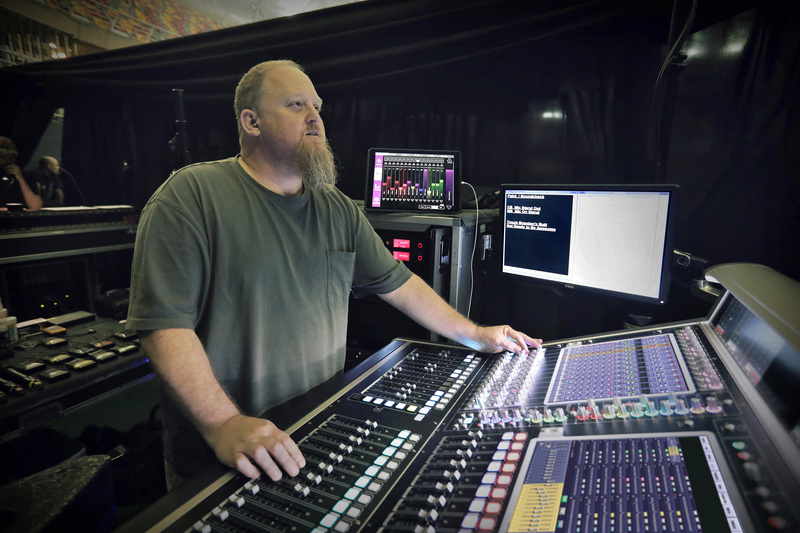 Proving that is a job that often falls to the engineers, and it’s how award-winning monitor engineer Kevin “Tater” McCarthy got the new KLANG:fabrik 3D monitoring system on the rider for a tour with Linkin Park that will run through 2017. 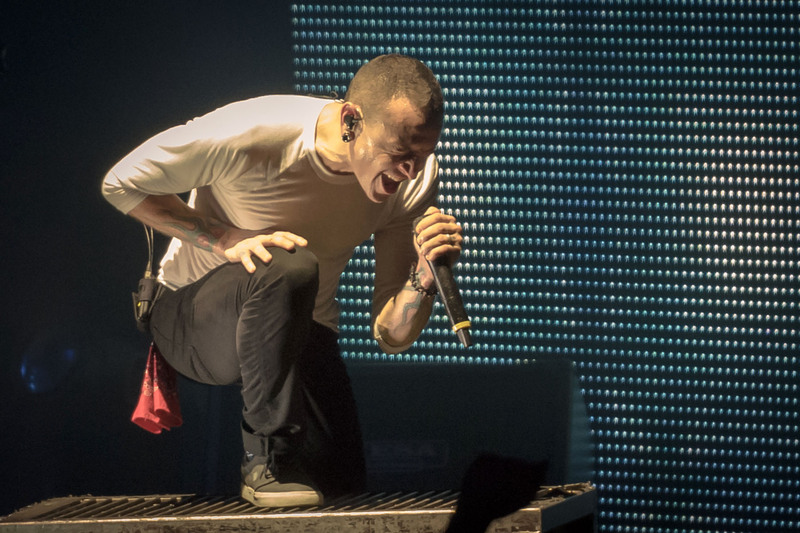 Volume is an issue that Tater has spoken out about in the past, and the band members are all careful to protect their hearing from damage—especially Brad Delson, who plays with foam earplugs and over-the-ear, gun-muff style headphones. The KLANG:fabrik is extremely flexible in that the engineer can determine the best mix of inputs, outputs and sampling rate for the specific act or situation. “I’m running the KLANG at 96 kHz and can use all eight outputs and have enough processing for 27 inputs,” he says. The show is actually more like 95 inputs, so he’s running a mix of stems and individual channels. The KLANG:fabrik made an enormous difference for the band and its techs, and it was obvious from the start. “This is not the kind of box where you try it and you’re not 100 percent sure you hear what it’s doing,” Tater notes. One reviewer described the moment of first enabling the 3D field as akin to the moment in The Wizard of Oz when it goes from black-and-white to color. “With the KLANG, you start moving sources within that 3D field and just move them the tiniest little bit and it is noticeable like you can’t believe,” he adds. Headquartered in Aachen, Germany, KLANG:technologies is the world’s first manufacturer of truly immersive 3D in-ear monitor mixing technologies. 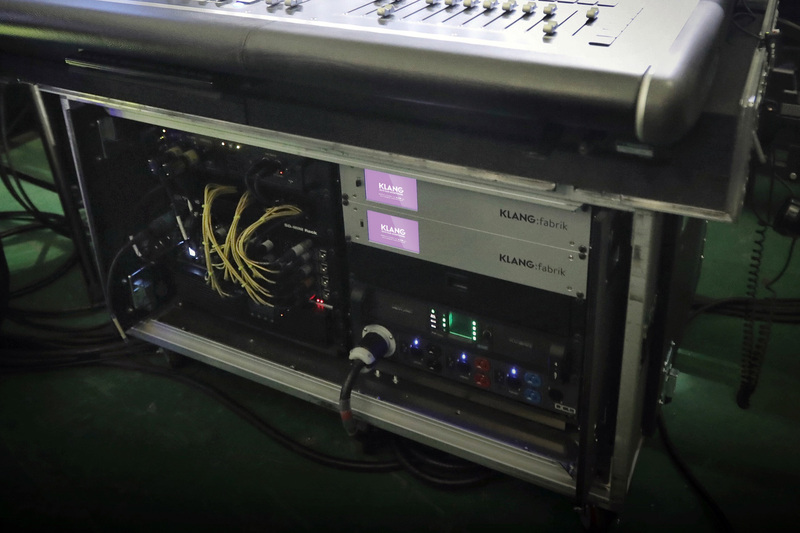 The company’s core product, KLANG:fabrik, is a professional rack-mount monitoring mixing engine specifically designed to be used with IEMs and provides musicians with individual, natural and three-dimensional sound. KLANG:technologies’ products are now exclusively distributed in the US by Group One Ltd. of Farmingdale, NY. For more details on the manufacturer, visit www.klang.com. Group One Ltd. is a US importer and distributor for a number of professional audio and lighting manufacturers. The company’s audio division currently distributes Blue Sky powered nearfield monitors, Calrec broadcast solutions, DiGiCo digital mixing consoles, KLANG:technologies 3D in-ear monitor mixing systems, MC2 high quality innovative amplifiers, and XTA digital signal processing equipment. The lighting division currently distributes Avolites lighting control consoles, DTS Lighting fixtures, elektraLite controllers and intelligent lighting, and Pulsar LED lighting.